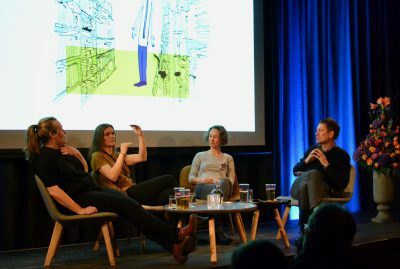 Fredrikstad Animation Festival was held from November 10th to 13th 2016 at Fredrikstad Kino and Litteraturhuset in Fredrikstad. The festival had a diverse programme with short film screenings, seminars, exhibitions and more. Official guests at the festival were: Gunnar Wille (Denmark), Konstantin Bronzit (Russia), Jericca Cleland (Canada), Mark Davies (Canada), Felix Massie (England), Kim Keukeleire (France), Max Mörtl (Germany), Niki Lindroth von Bahr (Sweden), Lorène Lescanne (France), Kim Helminen (Finland), Erik van Drunen (Netherlands), Sander Joon (Estonia), Mari-Liis Rebane (Estonia), Tatu Metsätähti (Finland), Frida-Li Lövgren (Sweden), Daniel Wiklund (Sweden), Alexander Cederlund (Sweden), Daniel Eugene Lacey-McDermott (Norway), Mats Sivertsen (Norway), Kajsa Næss (Norway), Tonje Skar Reiersen (Norway), Lise Fearnley (Norway), Hans Gerhard Meier (Norway), Martine Grande (Norway), Elisabeth Aalmo (Norway), Cathinka Tanberg (Norway) og Kristine Knudsen (Norway). 98 films in the categories animated feature films, animated shorts and animated commissioned films were screened during the 2016 festival. The festival’s main programme was the competition programme for animated short films from the Nordic and Baltic countries. A central part of the festival is the competition programme for Nordic-Baltic animated short films and the Golden Gunnar Award. Out of 161 submissions, 19 professional short films were selected to compete, divided into two short film programmes, in addition to 15 student films, 29 commissioned films and 6 children’s films in their own programmes. The professional short film and commissioned film jury consisted of Maciek Szczerbowski, Joan Ashworth and Trygve Nielsen. The student film jury consisted of Pjotr Sapegin, Chris Lavis and Kjersti Nordmann. Two special screenings dedicated to persons or subjects were presented. The screenings included talks with filmmakers and curators. Guest of honour and “lifetime achievement” award winner Gunnar Wille gave an insight into his very own world by present movies and TV productions he has taken part in. Gunnar himself held the introduction and contributed with his own perspective. The programme devoted to Konstantin Bronzit included screenings of two of his films that were Oscar nominated, and Bronzit spoke of his career and work prosess. Retrospective program dedicated the 20th anniversary of animation studio Mikrofilm. 12 short films, all produced by the studio. Retrospective program for children dedicated the 20th anniversary of animation studio Mikrofilm. 8 short films, all produced by the studio. The five finalists for the Cartoon d’Or, a pan-European animation award for short films. 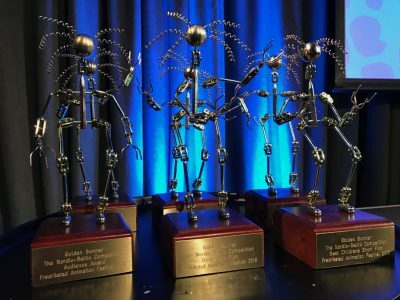 Fredrikstad Animation Festival is one of ten European festivals which nominated films for the award. Program devoted to Nordic-Baltic films outside the competition program. Given by the festival board of Norwegian animation forum. Festival board statement: Since the early seventies Gunnar Wille has played an important role for Danish animation. He has written, designed and directed several animated series, and is probably most known for his character “Skrumpen”. 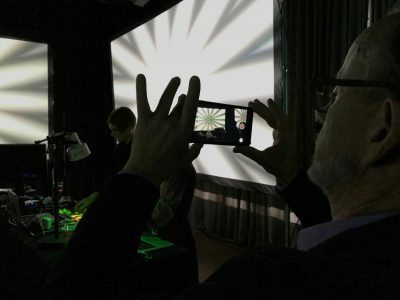 But he has not only worked with animation films; also with theatre, children books, television and he has developed and experimented with computer animation. We must characterize him as a multi-artist. With his strong feel for the narrative he has also influenced the students at the National Film school of Denmark. 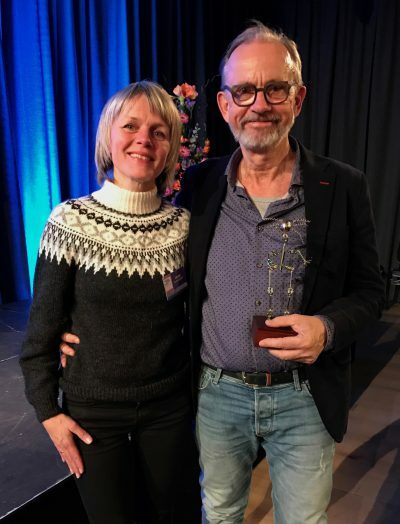 We must say that, as head of the animation department since 1992, he has really been a driving force for the success of Danish animation industry. A success that also has been important and inspiring for the rest of the Nordic and Baltic countries. Nordic-Baltic competition for animated short and student film. Jury statement: This film is an intense mix of horror, love and comedy. It’s a magical universe, where we go on a ride with a crazy and energetic roller-coaster, and it’s scary and so incredible bizarre and funny. We love the great creativity of the artwork and the high quality of the animation. For us this is a good example of what animation can do. Nordic-Baltic competition for animated short films. Jury statement: The quality of this film lies in the original idea of the concept where the filmmaker is constructing memories through a mix of genres. 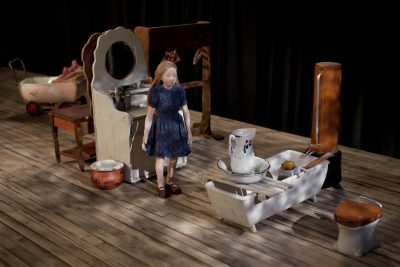 It can also be seen as a tribute to the art of dolls and miniatures where all the work lies in the details. As an audience we were touched by the nostalgic feeling and a longing for a playful childhood. Nordic-Baltic competition for animated student films. Jury statement: The Best Student Film brings us in to a dark and desolated universe where we take part in a hurtful relationship. The graphics, the music and the animation strongly convey the mood of the characters and their inner conflicts. A promising start from a new talent. Nordic-Baltic competition for children’s films. Jury: Selma Wister Lier, Felix Weel Kreutz and Tilde-Johanne Klausen Apenes, from Fredrikstad. Jury statement: We in the Children’s jury has decided the best Children’s Film. The film is more than one thing all at once. It is cosy, funny and a little bit scary, with nice and special characters. Nordic-Baltic competition for commissioned films. Jury: Hans Gerhard Meier, Martine Grande and Alexander Cederlund. Jury statement: The winning film is a fantastic craftsmanship; it has great attention to details and got animated on a high level. The winning film is a great example of how CGI can be genuine and heartfelt. The winning film has a story with lots of humor and warmth. The winning film masters the most important task of a commissioned film; you want to see it again, and again, and again. Jury statement: This film communicates brilliantly to both adults and children. It handles a sensitive theme in a clear and respectful manner. The overall visual style and use of subtle humor contributes to a very playful and informative experience. The jury has sent three friend requests on Beekbook. The Audience Award goes to the audiences voted favorite. Director Felix Massie and Project Leader Mark Davies from Nexus Studios London outlined the artistic and technical journey they experienced while making the interactive 360° VR short film Rain or Shine, commissioned by Google as part of their Spotlight Stories VR project. Using live action clips as a foundation for study, this masterclass with Jericca Cleland, exposed the power of images to build story, context, and emotion and presents practical techniques for structuring visuals to support cinematic narrative. The concepts shown in the class are directly applicable to working in any medium and any format of linear visual storytelling. 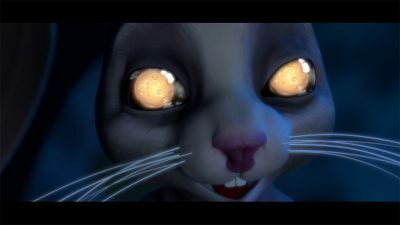 I samarbeid med svenske SAAVA, Finske Finnanimation, og danske ANIS ble det under festivalen holdt et forum med mål om å øke interaksjonen innen den nordiske animasjonsbransjen. Under forumet ble det holdt prensentasjoner av Niki Lindroth von Bahr en prisvinnende regissør for kortfilm, Kim Helminen regissør fra Cartoon-serien om Angry Birds og produsent Lorène Lescanne fra det danske produksjonstudioet SØNC. In cooperation with Swedish SAAVA, Finnish Finnanimation and Danish ANIS a forum with the aim to increase the interaction within the Nordic animation industry was held. During the forum Niki Lindroth von Bahr an award winning director of short films, Kim Helminen director of Cartoon series Angry Birds and producer Lorene Lescanne from the Danish production studio SØNC held presentations. In his interactive music video Visual Beat, director and animator Max Mörtl blurs the boundaries between a supposedly passive audience and active, creative directors and musicians and challenges these roles. In his presentation Max talked about the creative and technical aspects of producing his app. 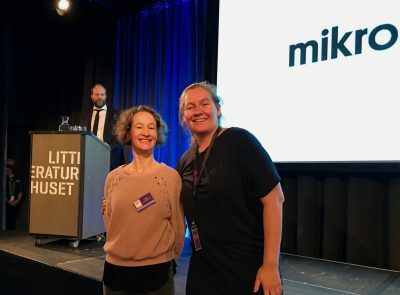 This year Felix Massie and Mark Davies presented their 360° VR short film Rain or Shine and Cathinka Tanberg from Microfilm presented both the studio and her own work during the seminar for Upper Secondary Schools in Østfold. The seminar also included screenings of short films taken from the festival’s short film program. Mikrofilm is one of the most important film studios for animated films in Norway, and has received many honours in Norway and abroad. Mikrofilm is particularly known for telling personal stories in classical 2D style. The seminar was held as a discussion between producer Lise Fearnley and directors Toril Kove and Kajsa Næss. Meet the filmmakers was a chance to meet the people behind the films in the competition program. 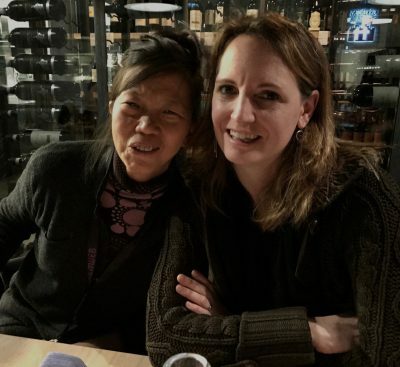 Filmmakers and guests from home and abroad gathered for an informal meeting in where the festival audience could become better acquainted with professionals in the animation field. Hans Gerhard Meier led the conversation. The event was organized in cooperation with Viken Filmsenter. The festival started with the the opening ceremony at Litteraturhuset in Fredrikstad. A selection of short films from our guests and our guest of honor Gunnar Wille was shown. This year’s official opening speech was held by Director of the Norwegian Film Institute, Sindre Guldvåg. Friday night was dedicated to a music and animation project, which will only be performed once, and this was during the festival. Three musicians team up with three visual artists to create a unique club night where expansive electronic music was combined with innovative animated visual arts. 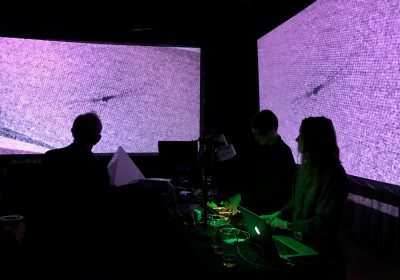 The artists were selected in collaboration with the Henrik Langgård and the musicians were Captain Credible, Meshach and Quiltland, while Mari-Liis Rebane, Mats Sivertsen and Daniel Wiklund did for the visual arts. Family Day included activities and screenings of film for the whole family. 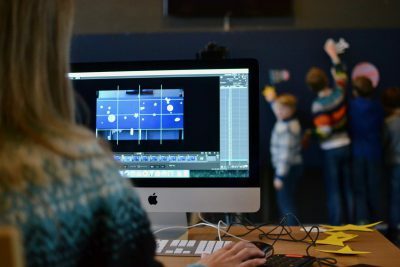 An animation Workshop was held by E6 Medieverksted Østfold, and experiencing 360° VR short film Rain or Shine made by Felix Massie and Mark Davies from Nexus Productions, were some of the day’s activities. As the finaly of the Nordic-Baltic competition the Award Ceremony where the Golden Gunnar award was handed out to the lucky winners of the categories; Best Short Film, Best Commissioned Film, Best Student Film, Best Children’s Film, Audience Award and Grand Prix. Ceremony Master of the evening was Emile The Duke who also contributed with musical entertainment. 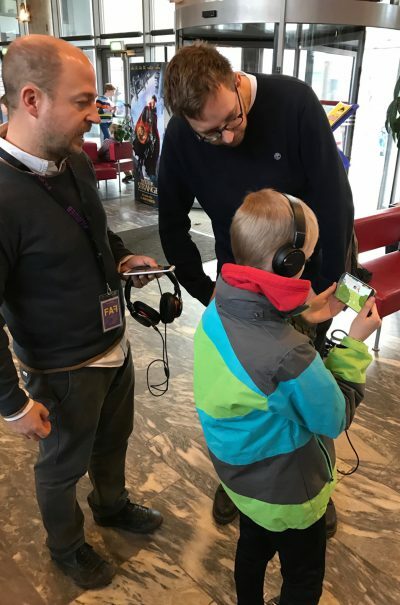 This year’s festival exhibition in the foyer of Fredrikstad Kino was devoted to Mikrofilm and their 20-year anniversary. The exhibition was put together by forces behind the studio in cooperation with the festival, and included sketches, drawings and finished artwork from the films and productions by Mikrofilm and directors who are and have been associated with the studio. During the festival Gunnar Wille held an exhibition at Litteraturhuset in Fredrikstad, with illustrations and paintings he has made through a lifelong career as a multi artist. 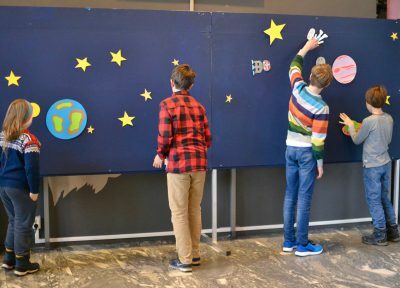 The exhibition was largely centered around Willes works with Skrumpen, a well known and beloved children’s television figure in Denmark, which also has appeared in several children’s books. Fredrikstad Animation Festival is run by Norwegian Animation Forum, with Anders Narverud Moen, CEO and Festival Director. Marita Mayer was responsible for the seminars, Therese Øvergård as festival coordinator and Marit Krogstad as press and information coordinator.